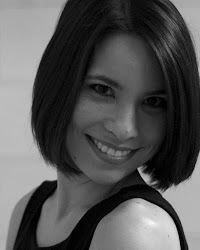 My husband and I do not typically celebrate Valentine's Day. How would we celebrate? My husband could cook me a lovely dinner, but he does that every night. I could make a special treat, but I do that almost every weekend. It was really nice to celebrate when we had a long distance relationship during university - I always looked forward to coming home and finding some sort of parcel waiting for me. Now that we're married I don't feel that we need a special day to show our love and appreciation for each other. I hope that we do that every day. 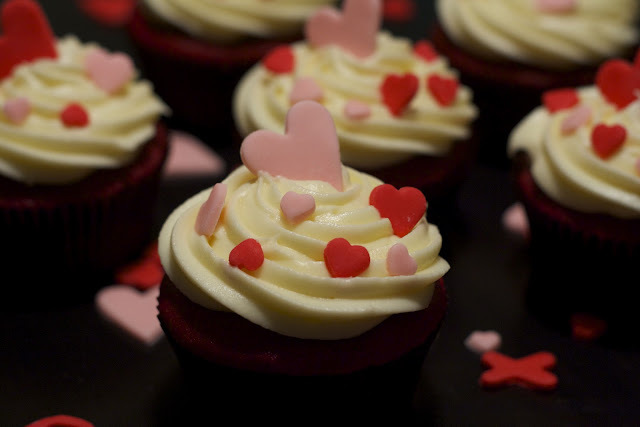 Is Valentine's Day a great excuse to bake something pretty? Most certainly! 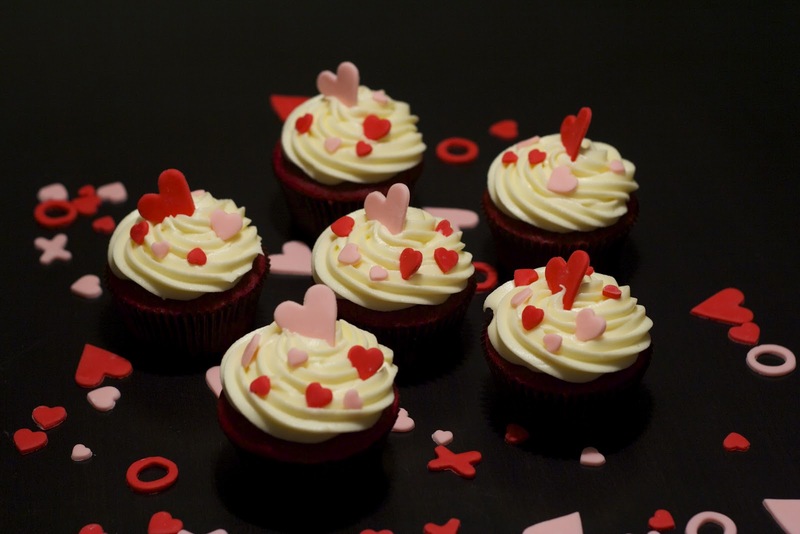 I've noticed that leading up to Valentine's Day this year, there has been a flurry of red velvet-themed desserts on bakery menus and food blogs. Why is red velvet cake so popular? 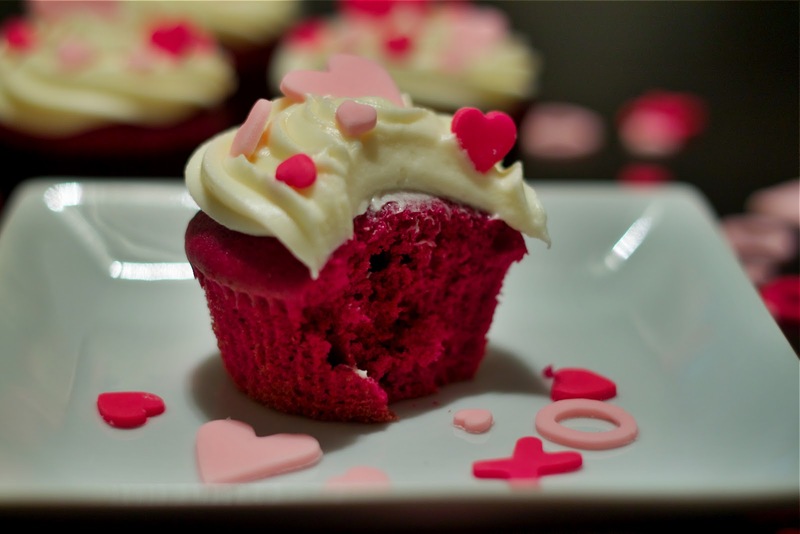 It could be the soft, moist crumb created from the use of buttermilk, the subtle taste of cocoa, the vibrant red colour (from food colouring) which goes so well with Valentine's themes, or the fact that it is simply a vehicle for cream cheese frosting. For me, I think it is the latter as I equally enjoy a good carrot cake or ginger cake with cream cheese frosting. Did I really want to jump on the red velvet bandwagon for Valentine's Day? The decision to make these was based solely on the fact that this was the cupcake flavour that was requested by my co-workers. That and I'm not much of a baking anarchist. The recipe that I used was from my Magnolia Bakery cookbook. There hasn't been a recipe from this book that I have not thoroughly enjoyed. You can find the recipe online here. Rather than pairing it with vanilla icing, I used cream cheese frosting. Yum. To decorate them, I cut out a variety of sizes of hearts and some X's and O's from fondant. What's Valentine's without a few sweet hugs and kisses? Take a chance on chai!